Check out Tobi's Frankie Jacket So you're always on the lookout for some serious retro Hollywood vibes. Well, you've come to the right place. Get all glammed up in ASTR's Frankie Rust Jacket. This short faux fur jacket features a zipper front, ribbed cuffs and hemline, and the softest vegan fur imaginable. 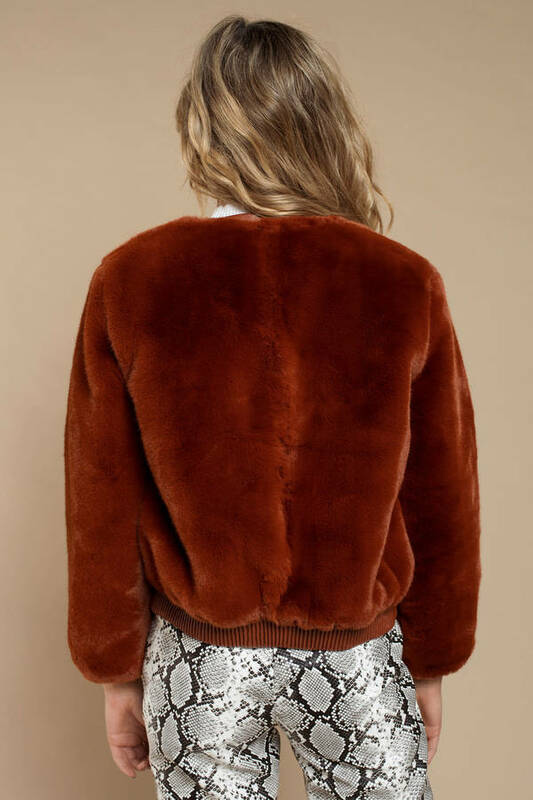 Pair this collarless faux fur jacket with high waisted jeans and sneaks. So you're always on the lookout for some serious retro Hollywood vibes. Well, you've come to the right place. Get all glammed up in ASTR's Frankie Rust Jacket. This short faux fur jacket features a zipper front, ribbed cuffs and hemline, and the softest vegan fur imaginable. 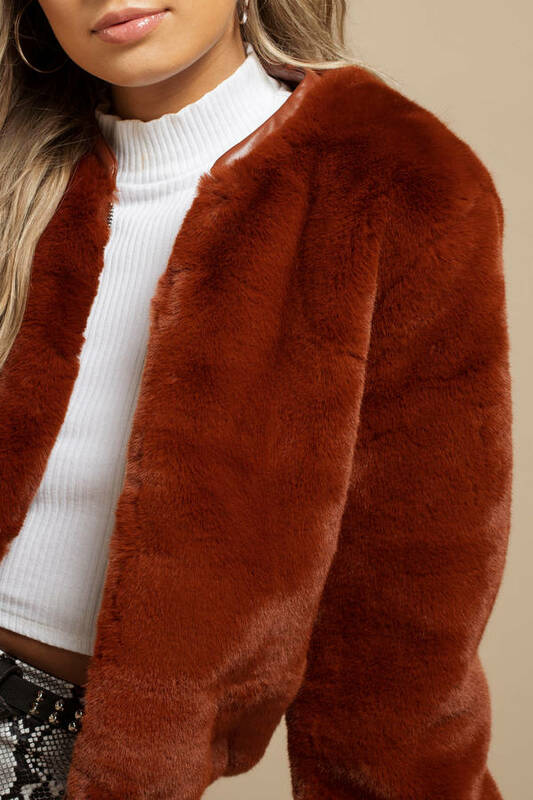 Pair this collarless faux fur jacket with high waisted jeans and sneaks.